moved to www.skorchmag.com! : Fatbulously Frugal - Accessories Galore! Here are some awesome accessory sales I thought you would drool over! 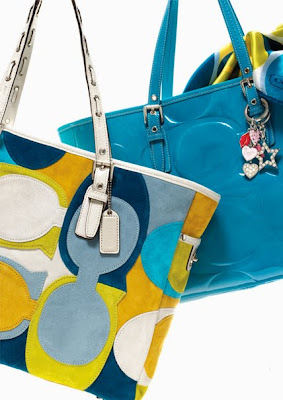 One is Coach Factory Stores has a coupon for 20%. It’s good until February 21 in the outlet stores only. I love to use this coupon especially when I don’t want to feel guilty about getting something fabulous! Another great sale right now is on Endless.com and it is on designer shoes! It’s an extra 25% off your selected designer shoe sale! I am excited for this because I can snag a delish pair of shoes for a snazzy price! 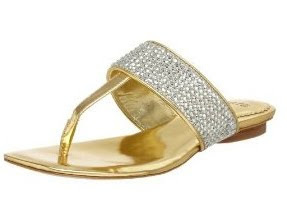 These Rafe Thong Sandals are perfect because they are gold and silver. Double dose of metallic for me since I love to wear sundresses once the weather is warm. They go with all of my maxi dresses and will be moving in with me shortly! Did I mention if you sign up for their emails, you get all the secret sales! Another fabulous shoe website that someone turned me onto is 6pm.com. If you sign up for their emails, you get super secret deals of the day (DOTD) with them. I have gotten insane prices on shoes. Today’s sale is Beverly Feldman. Shoes that were originally $175 are now $35. I think that is an awesome deal! They also have clothing sales! Aaahhh.. the Good Sale Life. Sign up for the secret emails, buy shoes and let me know how much you saved! !